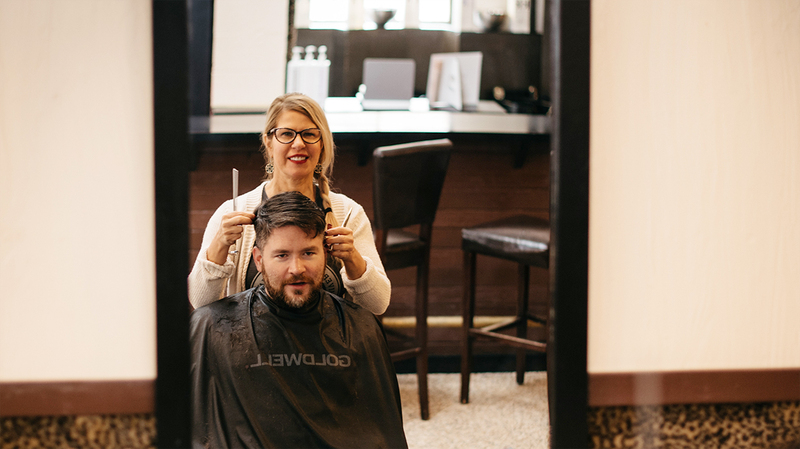 Suzanne Erickson based in Minneapolis is founder of Jungle Red Salon Spa and Gallery. She serves the community through hair-dressing and is a recognized patron of arts. She partnered with Visual Collaborative sponsoring artists for its inaugural exhibition in 2007. Suzanne and Kari Melchert her daughter, have received local and nationwide coverage on numerous reputable outlets marking a space in the creative industry. Longtime residents uptown as well as the old and newer Loring park condos know of Jungle red spa and gallery, and for the most part patronize it as a trusted brand. Had this always been the vision when you started? (Suzanne) My vision was to create a space that fostered community and inclusiveness, within the realm of the beauty industry, which can often times feel exclusive or pretentious. While dedication to skilled craft is at the core of our principles, I believe that this feeling of welcoming each person’s individuality is crucial to creating trust. 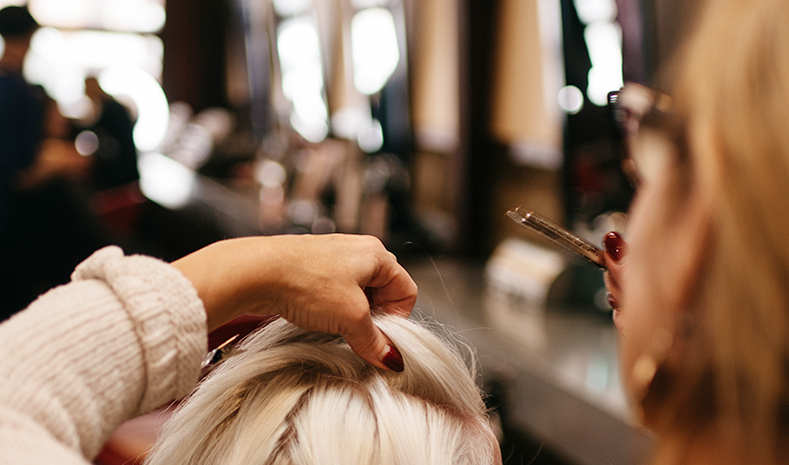 People know that when they walk into our salon, they are going to get a fantastic and inspired service, but also one that embraces them and not just the current trend or the stylist’s preferences. Jungle Red Spa and Gallery had a visit from Tabatha Coffey which aired on BravoTV, what was that experience and reception like off the cameras? (Suzanne) I get asked this question all the time! People are so intrigued by reality TV, and how much of it is “reality.” To be honest, it was quite mind-blowing. As a team, we decided we would participate for this once in a lifetime experience. It is truly amazing the work the producers put into these shows and developing something that is interesting or entertaining to the public, and they are very good at their jobs. there was a lot of stress and pressure; but at the same time, because our story is so positive and hit home to Tabatha herself, the staff from the show and the community really embraced us with support. There’s always a foundation to the story, which is put under a microscope with a light beam aimed at it. So, off-camera, there was a lot of stress and pressure; but at the same time, because our story is so positive and hit home to Tabatha herself, the staff from the show and the community really embraced us with support. Now, that is not to say that there weren’t many challenges unseen when the cameras were off, but overall, I feel fortunate that we were able to take away some really awesome opportunities like connecting with a women entrepreneur centered organization that inspired Kari (my daughter and salon director) and gave us valuable tools for success. Observing the rising despondency of political movements in parts of the United States and some places of the upper midwest, as a female leader in design are you more critical about your own career as a woman or more optimistic given the trajectory of the present times? (Suzanne) I feel that we are in a climate where not only are women supporting women, but there is a more widespread appreciation among all genders for women’s talents, and the sufferances that women rise above to make great advances in their own industries. Coming from an era where that was not always the case, I feel proud to be where I am and at the same time humbled by the women around me who continue to push the cultural boundaries of what women are capable of. Jungle Red was a patron to Visual Collaborative’s inaugural event in 2007, You provided several artists like Tim Schools who were featured. Do you still work with the artist community or has the salon’s hair dressing work mostly taken over? (Suzanne) We continue to incorporate this relationship into our business by showcasing a local artist each month in our Gallery. Hair-dressing is an art; and art and fashion and hair go hand-in-hand. As hair-dressers, we are always inspired by the visual creativity and expressions of art and fashion, so this connection to the artist community will always be at the centerpoint of Jungle Red. We see the Gallery as a platform to draw creativity within our client-centered business, and for our artistic community to support each other and connect with a wider audience that may not be directly exposed to the arts on a consistent basis. At this stage of your collective accomplishments, considering your present commitments If you can work alongside any personality or enterprise. Who would it be and why? (Suzanne) I have always admired Horst Rechelbacher, the founder of Aveda. I was fortunate enough to know him personally and to more deeply understand his values and journey in building the Aveda empire before it was sold in 1997, along with his mission in subsequently creating Intelligent Nutrients. Horst was a man with a clear vision and dedicated passion, but was rooted by a very humble upbringing, which gave him this contagious spark to motivate others around his mission while at the same time being very relatable and approachable. He pursued the knowledge of his craft vigorously, which not only made him an iconic hair-dresser, but also afforded the ability to form his product line with great intention. These characteristics are crucial to developing a company that can evolve an industry and have world-wide reach. Although Horst has passed away, I would love to work alongside someone with such commitment to their values, a wealth of information, and the charisma to inspire others to align with a brand. If you have an idea, a passion, go for it. You will never be ready enough. Knowledge and money are like anything else – they are a journey. As a beautiful woman in America who maybe considered privileged based on your professional experiences, what can you candidly tell aspiring young women or entrepreneurs about success and risk in business? (Suzanne) If you have an idea, a passion, go for it. You will never be ready enough. Knowledge and money are like anything else – they are a journey. Surround yourself with supportive individuals who see the value in your mission and collaborate on making that vision your reality. Given the times of fast digital age and transformation, If you can time-warp back to any era what time period would it be? (Suzanne) With this digital age comes information and connections that otherwise likely would not be available. So I can honestly say that I would not time-warp back to any era. We have the ability to draw technical information to hone our skills from professionals all over the world, and this allows us to serve our clients from a more well-rounded approach and diverse understanding of our industry. 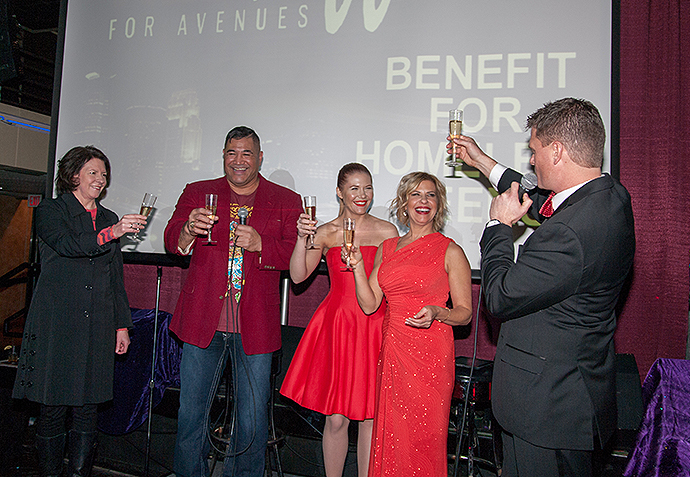 Tell us about the 5th Annual The Red Affair benefiting Homeless Youth? (Suzanne) Community is at the forefront of the mission of my business, and I believe in the power of coming together to make an impact. Every individual deserves a voice, and the social reach that my business has can serve as an advocate for those whose voice is unheard. The epidemic of homelessness in our community is evident to me day in and out, and through these experiences I was called to support an organization that I truly believe makes an impact. The Red Affair is an evolution of smaller fundraising activities that my salon team hosted over the past 16 years. With a goal to make a bigger wave in addressing the needs of youth experiencing homelessness in our city, we found it imperative to broaden our scope and develop an initiative that provided awareness and critical funds to support these youth in their transitions to achieving stable housing and reaching their individual life goals. The epidemic of homelessness in our community is evident to me day in and out, and through these experiences I was called to support an organization that I truly believe makes an impact. On April 27th, 2019 we will host our 5th annual The Red Affair benefiting Avenues for Homeless Youth at St. Mary’s University Center in Minneapolis. This is not a traditional gala nor an event with a cause, but rather a soiree with a purpose — a purpose to highlight that which unites us all: hopes, dreams, and a desire to fulfill our individual talents. Together we can provide the stepping stone for these youth to realize their individual goals and make this positive transition that in turn will cycle back through our greater community.